Coming back from the long Thanksgiving weekend to start a full week of work can be difficult. Ramping up energy levels and feeling productive after the turkey coma is challenging, but you have to remember to be grateful for gainful employment, right? This wasn’t the case for everyone this week. On Monday, GM welcomed workers back from the holiday weekend with a bounty of pink slips. Yep, an estimated 14,000 employees learned they were losing their jobs. 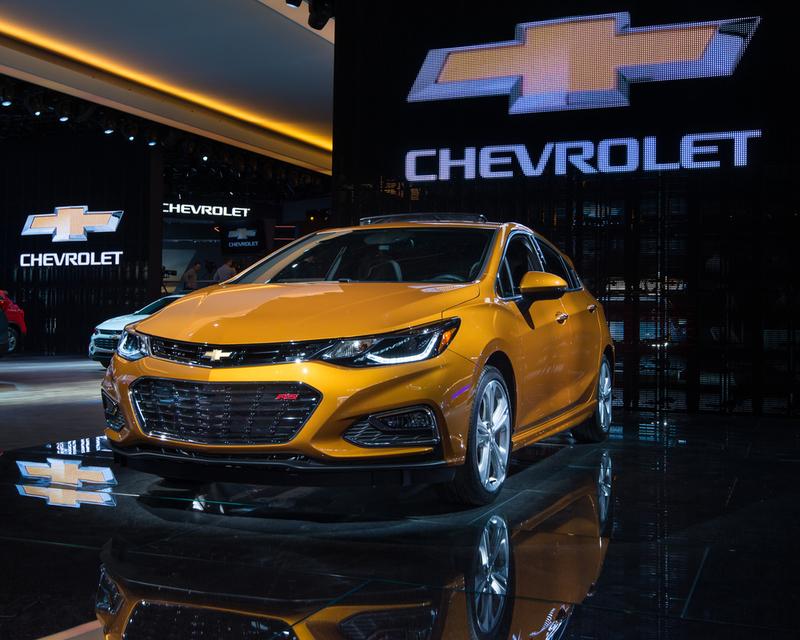 GM may close one Canadian plant and up to four U.S. plants, impacting factory workers and executives alike. This came as a shock to many. In general, the U.S. economy continues to thrive. GM itself is profitable. Yet the company cites poor sales of sedans and purchasing shifts toward SUVs as a reason it’s making the changes. Apparently, it hopes to invest more in future endeavors such as electronic and autonomous vehicles. No matter the reason, 15 percent of the company’s salaried workers are now without a job. This is the largest cutback since 2008, when GM went bankrupt during the financial crisis. Were there silent signs these layoffs were coming? Curious as always, we wanted to analyze the data to see if there were any indications that GM was preparing for a mass layoff. Job posting numbers can be used at both the strategic and tactical level. Did GM job listing data trends tell us something was brewing? The answer is yes. Looking at this chart for job openings in the United States from Jan. 1, 2018, until today, there is a clear drop starting in early October. That means approximately two months ago GM deliberately slowed hiring by a massive amount. This is a red flag that something was happening behind the scenes. Analyzing that huge drop in job listings over the past two months, we wanted to look at the specific jobs themselves. 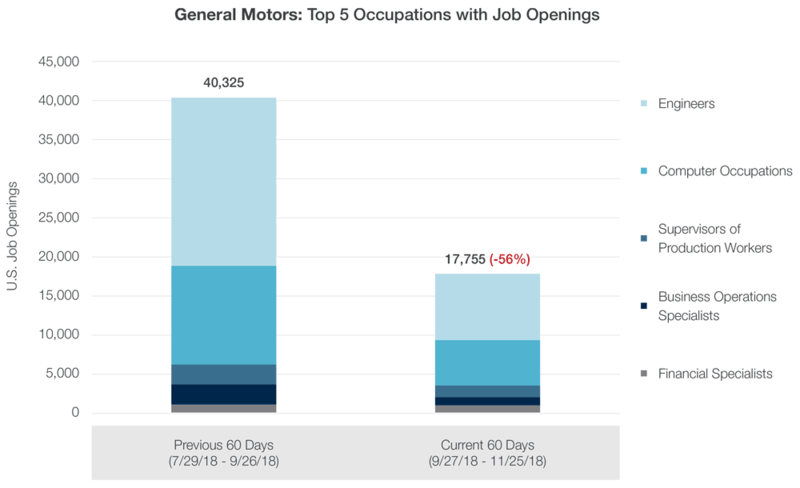 Of the job openings at GM in 2018, the top five occupations with job openings included engineers, computer-related positions, supervisors of production workers, business operations specialists and financial specialists. Every one of these positions experienced double-digit drops in job openings in the last 60 days, with computer occupations coming in with the most significant drop at 61 percent, followed closely by business operations specialists at 57 percent. The combined top five jobs dropped an average of 56 percent in job listings in the two months before Monday’s announcement. While these numbers alone may not indicate a mass layoff, they certainly show that something is occurring and it would be safe to say some type of change is likely on the horizon. Job listing data can be used in countless ways, and in this case it definitely provided clues that the layoff event was a possibility, or if you’re so bold, probable.